KATMANDU: Let’s face it: the regional cooperation envisioned in SAARC charter cannot materialise meaningfully without Pakistan and India resolving their major differences. This is reminded, once again, by the state of affairs here after nearly 30 years of the SAARC formation. On paper, there exists an ambitious agenda for the 18th SAARC Summit. This includes various initiatives for intra-regional connectivity through electricity, railways and roads, which might result into three possible agreements among SAARC members. What connectivity, you might ask considering the ground reality. The SAARC Big Two, Pakistan and India, are not even talking to each other, let alone mending their messy fences. You might find the summit theme “deeper integration for peace and prosperity” even more ironic. Behind this charade of diplomatese and massive paraphernalia, the buck stops at the will-they-won’t-they suspense over a possible Nawaz-Modi meeting. Aboard the Prime Minister’s plane, Nawaz Sharif candidly admitted that India had left no choice for Pakistan after cancelling talks between the foreign secretaries of the two countries. He was absolutely clear that the request for talks has to come from the Indian side as “the ball is in India’s court.” He was so careful with his words that he particularly cautioned us (journalists) not to misquote him on this grave matter. He even requested us not to use an off-the-record joke that could be misconstrued. He minced no words in admitting that the “obstacles” between Pakistan and India are not likely to let SAARC achieve its potential. If the European Union (EU) could integrate their economies and borders why can’t we have some minimal regional cooperation.” So true, considering that SAARC only has five per cent regional trade in comparison to the EU’s 65 per cent. Obviously, Modi’s backhanded response to Nawaz Sharif’s extraordinary gesture of attending the Indian Prime Minister’s oath-taking had put the Pakistan Premier in an awkward situation. Modi comes to Nepal riding on the crest of successive victories, the recent being the BJP breakthrough in Maharashtra and Hariana’s elections. However, Nawaz Sharif’s situation may not be so rosy. He will have to constantly look over his shoulders to check out on events back home where Imran Khan is all set to invade Islamabad again. The last thing he wants is Imran Khan to accuse him of a sell-out on India. Even if we forget the RSS pressure, many insist, Modi may not want to show flexibility on Pakistan in the middle of elections in (Indian Occupied) Kashmir. Not after raising the ante by escalating tensions on the LOC and by attempting to change the constitutional status of Kashmir. But others insist that Modi also needs to deflect international pressure on restarting Indo-Pak dialogue before Barack Obama’s visit. The rare spirit shown by SAARC heads of governments and states to attend Modi’s oath-taking is long gone. Five of the eight SAARC countries have got new governments but the contours of regional politics are yet to clear up. And it is not just Nawaz Sharif who feels awkward at the hands of Modi. Nepal’s ruling alliance got its share of flak when Modi almost chastised it on his arrival not to delay writing its Constitution. He said that he did not want to interfere in Nepal’s internal affairs but this was precisely interference. This was hardly the way to respond to splendid display of hospitality extended by Nepali people to SAARC leaders. Half of the city was there to welcome them with a spectacular show of Nepal’s cultural diversity, which, we are told, cost $30 million. We don’t know what Afghanistan President Ashraf Ghani might have in store when he meets Modi for the first time. Ghani is definitely no (Modi-fan) Karzai and may have ruffled a few feathers by going first to China and Pakistan while emanating some positive vibes. What we know is that Pakistan is pushing for China’s entry into SAARC from the status of an observer to a full member. Just as it was difficult for Pakistan to veto Afghanistan’s entry into SAARC it would become difficult for India to maintain its veto against China. If India can become a partner with China in BRICS and the recently formed China’s Asian replica of the IMF, it will have to come up with difficult to ignore logic to curtail China in Saarc. Nutshell: The chances of a formal Nawaz-Modi meeting are slim. But the Indo-Pak politics has a way of surprising twists and another one can’t Be ruled out. The only way it will happen is if the Indians make a move and Pakistan gives them a face-saving way out of their very harsh stance. 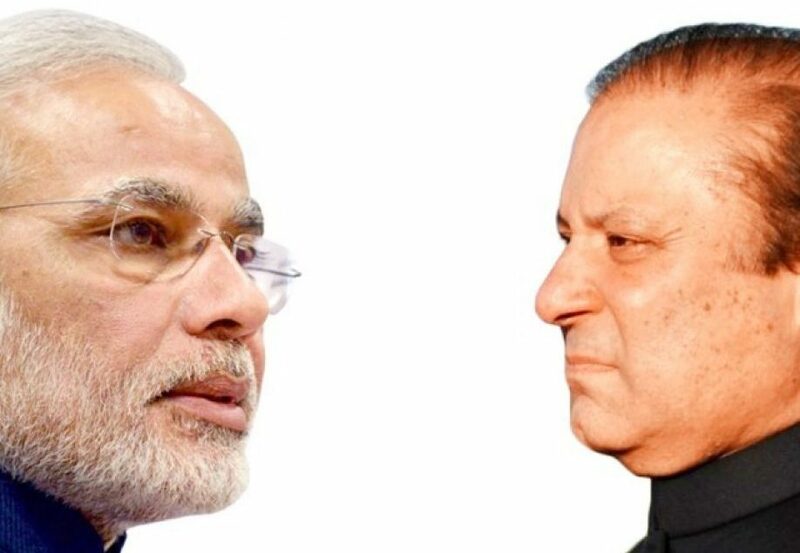 In any case, Nawaz and Modi will come across each other on at least four occasions in two days. It will be interesting to see if the two could maintain stern expressions on their faces for so long. Hundreds of cameras will be looking for a small change in the mood.You never know when a smile leads to a small talk, which in turn can turn into a bigger exchange of, well, whatever. It’s unlikely but we journalists live in the hope of capturing some rare feats.